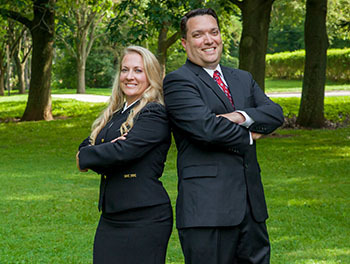 The Bishoff Financial Group was established in 2000 by Eric and Heather Bishoff. 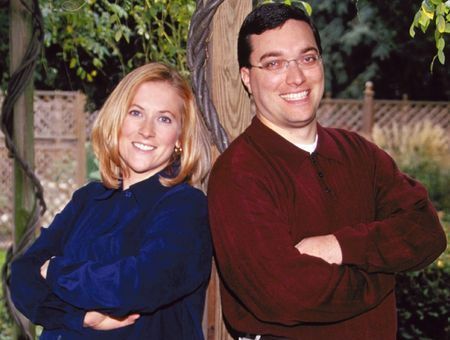 After seven years of serving clients, they opened their own financial services firm. With just a few clients and a team of three, The Bishoff Financial Group took root. The Bishoff Financial Group has since matured into a 17-member financial services firm. The Bishoff Financial Group is always working to improve on delivering the highest level of service to both its clients in the Central Ohio community and across the United States. Not all financial advisers are born with a fondness of numbers, dividends, and returns. In fact, Eric's first love is quite different. 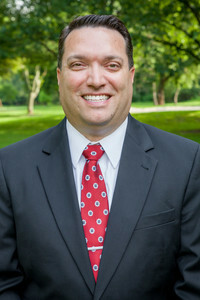 In 1994, he graduated from Bowling Green State University with a degree in Education and Sports Management, and hoped to use his education to pursue his first love: baseball. He didn't dream of being a big hitter or playing first base, but working full-time in the back office of a major league team. Unfortunately, the 1994 Baseball Strike threw a curve-ball at Eric's plans, and he soon found himself without a career aspiration. Eric's solution: why not try out the banking industry? So on a July day, Eric walked into Huntington National Bank and asked for a job - and got one - marking the beginning of his finance career. In 1997, Eric narrowed his financial industry focus to planning and joined a brokerage firm as a registered representative. After three years of valuable insight and training, he felt compelled to branch out on his own and begin his own financial services firm. So in June 2000, with the desire to provide clients with the highest level of service, Eric founded The Bishoff Financial Group. Eric faced the challenge of establishing a client base by working diligently to build his credibility with various professionals in the area. He hoped those relationships would result in potential client introductions. Today, The Bishoff Financial Group manages more than 600 client households across the country. 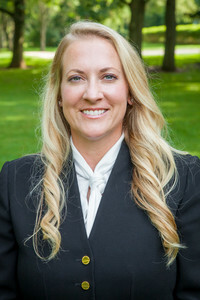 Heather Bishoff is a founding member of The Bishoff Financial Group. She focuses much of her time ensuring that actions comply with industry standards and regulations as well as providing support to the BFG team through training, continuing education, and supervision. While Heather enjoys many aspects of working for the BFG, her favorite is interacting with clients. Her personal touch and individual relationship with clients is her greatest reward. Heather is always looking to provide clients with an experience that exceeds expectations. An Ohio native, Heather graduated from Big Walnut High School (Sunbury, OH) in 1992. Following graduation, she majored in Biology, Psychology, and Chemistry at Baldwin-Wallace College but switched gears her junior year, finishing her college education at Franklin University with a degree in finance. She then went on to pursue a Master's program in Organizational Leadership. She started The Bishoff Financial Group with her husband in June 2000. Today, Heather also serves as a member of the Ohio House of Representatives. She was elected in November 2012 to the 20th district in Franklin County, Ohio. Today, Heather is busy volunteering in her community and being a mom to her four children: Sammi, Harry, Emma, and Gracie. It's safe to say that there's never a dull moment in the Bishoff household. If there's anything that Heather can do to make your experience with The Bishoff Financial Group a more pleasant experience, don't hesitate to ask. She's always willing to help!